Save on your next flight from SHV to VGO when you book through Travelocity. Need a last-minute flight to Vigo? Travelocity offers discount airfare no matter when you book, even on popular routes such as Shreveport Regional Airport to Peinador Airport. Whether you need a direct or indirect flight, you can trust Travelocity to provide you with the best prices for SHV to VGO flights. Flight path for flights from Shreveport Regional Airport to Vigo Airport. Below are the most flown air carriers at Shreveport (SHV) airport. Click to see their most popular routes and look for airfare. Below are the most flown air carriers at Vigo (VGO) airport. Click to see their most popular routes and look for airfare. Explore Vigo with Travelocity's Travel Guides to find the best flights, cars, vacation packages and more! 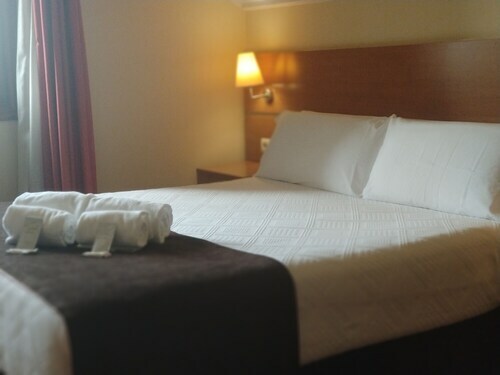 Situated near the airport, this hotel is 1.6 mi (2.6 km) from Real Aero Club de Vigo and within 6 mi (10 km) of Vigo Zoo and University of Vigo. Asociación Galega de Graniteiros and Rande Bridge are also within 9 mi (15 km). 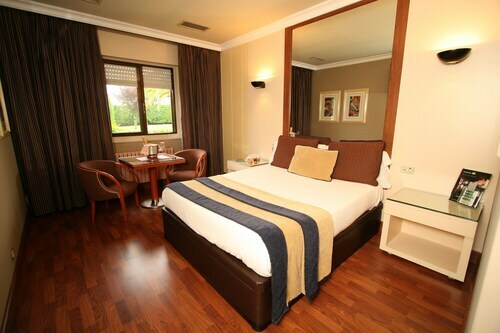 Situated in Vigo, this golf hotel is 0.6 mi (1 km) from Real Aero Club de Vigo and 3 mi (4.8 km) from Vigo Zoo. University of Vigo and Rande Bridge are also within 9 mi (15 km). Situated in a rural location, this property is 2.7 mi (4.4 km) from Real Aero Club de Vigo and within 6 mi (10 km) of Asociación Galega de Graniteiros and University of Vigo. Vigo Zoo and Castro Fortress are also within 9 mi (15 km). Everything about the hotel is very nice the staff cleanliness location etc. I was there during March 2010 and will stay there upon my return to Vigo.